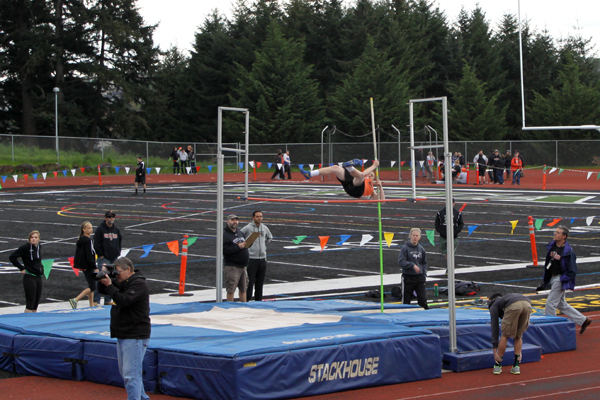 One of his events is pole vaulting. I made an animated gif of him clearing his eight foot jump at the meet. It's fun seeing him explore and improve this new skill! AWESOME!! How do you do that video!? I love track meets, I wish I could be watching them in person...next to you...visiting!